taking in the highlands and the lowlands (and the islands), here is our pick of the best drives north of the border. 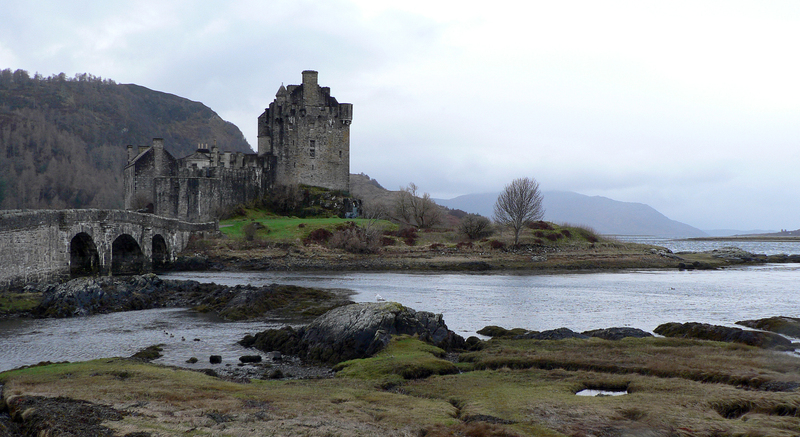 From Dumfries in the south to John'O'Groats in the north, Scotland has a lot to offer. They say a picture paints a thousand words, but in the case of this one of Glen Coe Valley, it can also make you lost for words. Stretching between the Bridge of Orchy and the village of Glencoe, the breath-taking peaks of Glen Coe were originally formed by volcanic activity and shaped by glaciers – making it not only one of the best drives in Scotland, but in the UK, too. 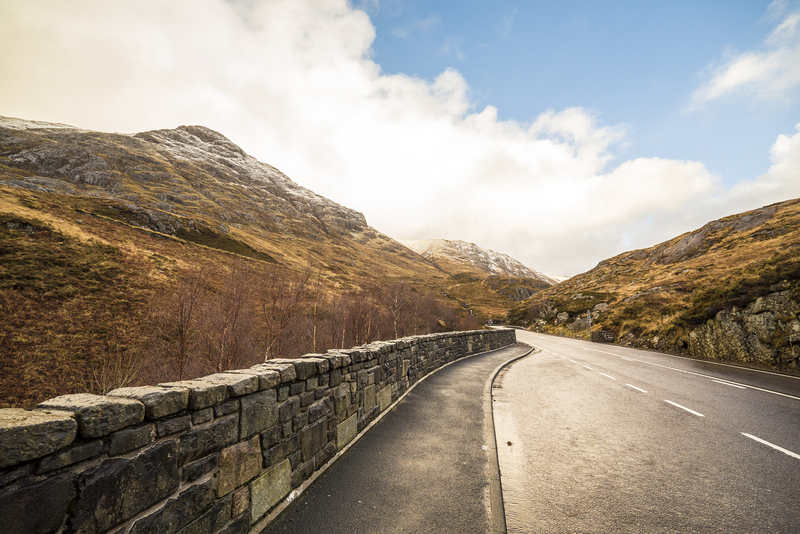 If you're after the very best the North West Highlands has to offer, then look no further than the narrow, winding roads and awe-inspiring vistas the A894 has to offer. 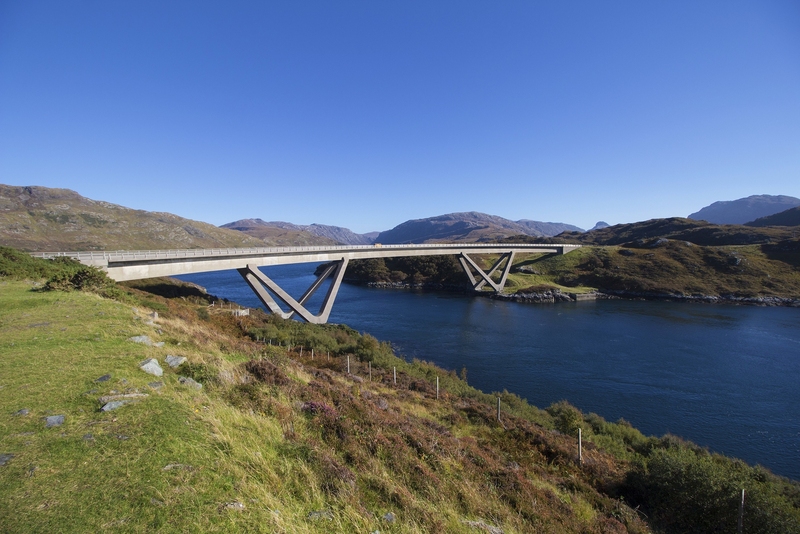 Although too numerous to mention, one of the undoubted highlights of this route involves going over the Kylesku Bridge: a curved bridge which, surrounded by Loch a' Chàirn Bhàin, simply begs to be driven. 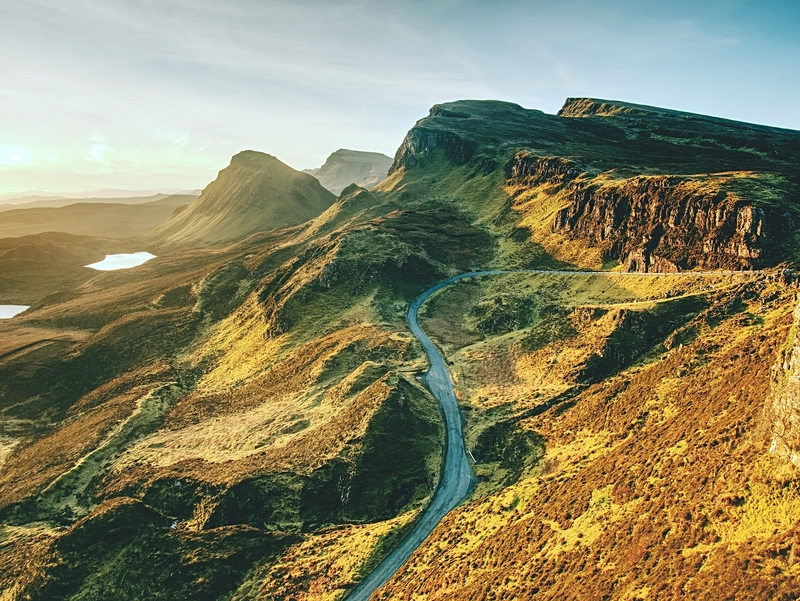 If you're wondering how to get to the Isle of Skye, then the A87 is your answer. The epitome of Scotland summed up in one magnificent stretch of road, the A87 is a brilliant drive on so many levels. 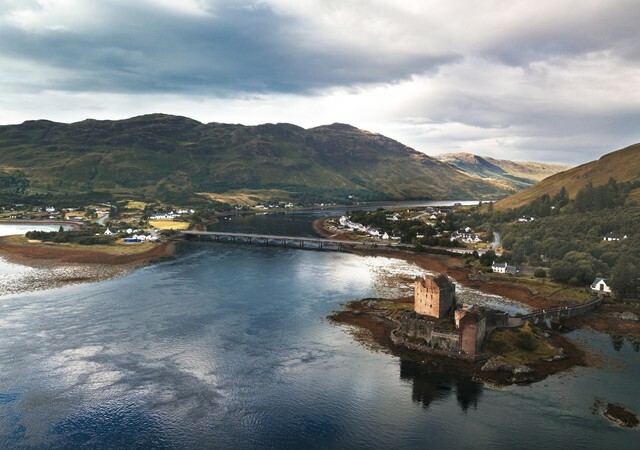 Not least because it gives you the chance to stop off and capture one of Scotland's best photo opportunities; the Eilean Donan Castle being the country's most photographed castle. Once you've actually reached Isle of Skye, this single track asphalted road, punctuated by steep gradients and tight bends, is your prize. Be warned, however, that due to the road conditions, trying to tackle it in windy or misty weather makes it a complete no-no, even for the most experienced drivers. Although when the sky is clear and sun is shining, driving in Scotland doesn't get much better than this. Last, but by no means least, is this masterpiece that helps you explore the true glory of Loch Lomond via the Trossachs National Park. 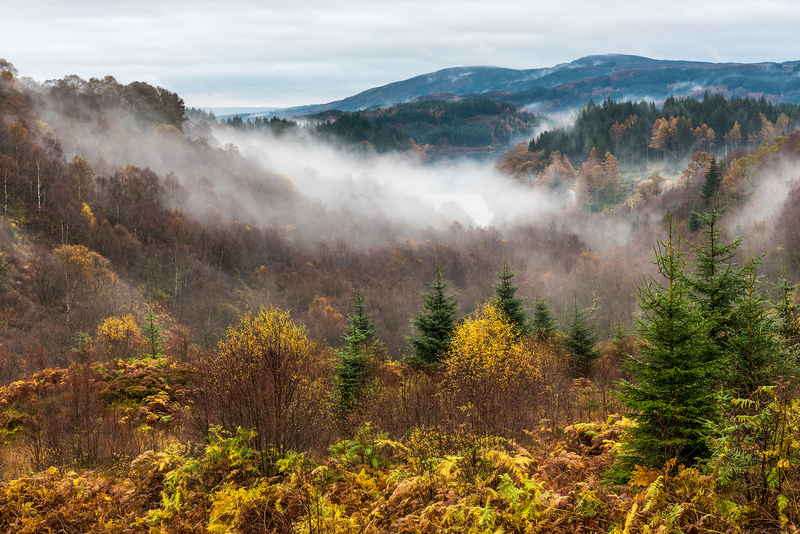 Starting from Aberfoyle, Duke's Pass combines elevation with sweeping corners for a true taste of Scotland, made better by the fact that you can also take a turnoff towards the Three Lochs Forest Drive; a stunning stretch of forest road that passes no less than three equally stunning lochs.